As the warmer weather approaches (or teases us!) 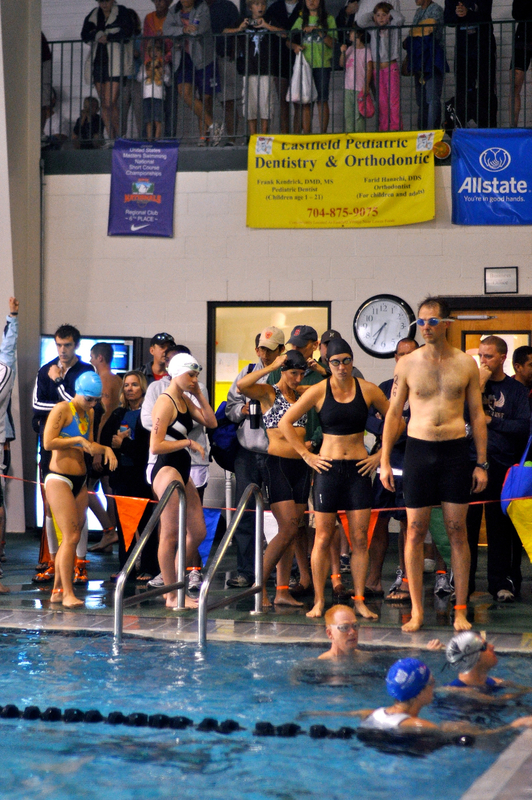 exercisers start to chatter about “triathlons”! If you have never done one before, what better time than now. With more sprint and olympic distance tris on the calendar in most major cities- we have no excuse to get out there and “tri” :) Consider signing up this season! Swimming? Hop back in the pool! Get comfortable swimming on your back, each side, and on your front to feel most prepared. Look for a local masters program or private instructor for pointers on stroke technique. www.swimplan.com is a great website for customized workouts! Biking? OH if you could have seen me on my shiny new bike today (thanks to all of my Charlotte clients!) Let’s just say I ate some dirt, twice, in the first mile of my 16 mile ride :). Clipping in to pedals is no joke- but so easy as you get used to it. Foot cages or hybrid bikes would be fine for the sprint distance events, just a little more work. Most likely, you have a bike store in your neighborhood. Check to see if they rent bikes for races- or ask around- you probably have a friend who would let you borrow a road bike. Its a big investment to buy, but totally worth it! Running? You all can run. Period. Use sites like www.runnersworld.com– great training plans and advice for all levels. **or any combo of the three! Looking for a customized triathlon training program this season? Email me at schwartz.kelly@gmail.com with questions! the new year….the gym is a MESS! Don’t forget to “Like” Iron-Mamas on Facebook! Click here! I am sure all of you gym-goers have experienced it by now. Full parking lots, every treadmill taken….what to do?! Here is a “no equipment workout” just in case you run in to this problem. 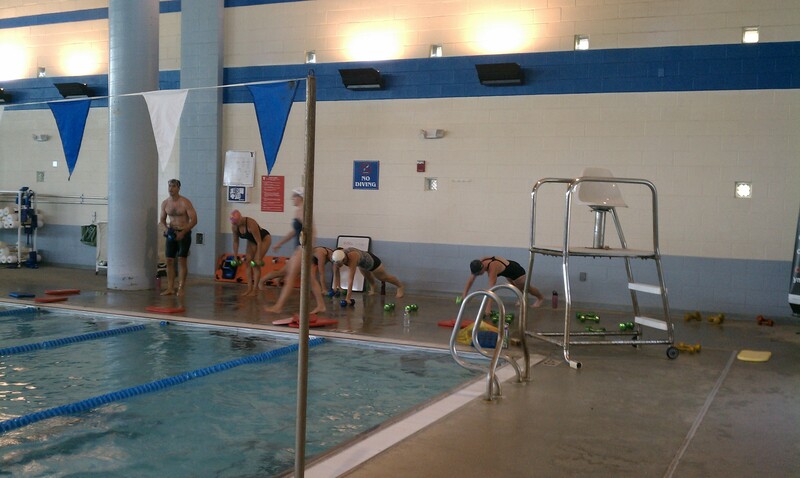 Also included a swimming workout- if you want to get out of the weight room away from the crowd! Rest and repeat through all 5 sets, decreasing reps. Many of us need to hit the pool more often. Swimming is a low impact sport with huge benefits! So why is swimming avoided? Iron Mama to the rescue! The swimming section will start to grow with water workouts to give you some variety and injury free ideas! circle swim- always keep to the right side of the lane in the direction you are facing, or swim in a lane like you are a car. Main Set:50, 100, 150, 200, 150, 100, 50 (pyramid) last 50 of each swim is always fast. i.e. 50 free is fast. 100 free is 50 easy 50 fast. 150 is 100 easy 50 fast, etc.